The routers affected are made by companies including Linksys, MikroTik, Netgear, and TP-Link. Reboot your router to prevent infiltration… Better yet, update the firmware. Did you know you can access any remote connection enabled computer with the same Google Account? You can with Google Chrome’s Remote Desktop App. The nice thing about this app is that Chrome does not need to be opened on the remote computer. If interested in giving this a spin, visit the Chrome Remote Desktop App page (in the Chrome Web Store) where you can install the app. Once installed and you open it for the first time, you will go through an authorization process and will be asked to see your email address (which is the validation key to your account); to see your other activated Chrome remote desktop computers; to receive (and send) chat messages so that the computers can talk to each other; and, authorization to allow remote access even if no one is at the PC using the application. [WINDOWS] CDBurnerXP 4.5.3.4643 -CDBurnerXP is a free application to burn CDs and DVDs, including Blu-Ray and HD-DVDs. It also includes the feature to burn and create ISOs, as well as a multilanguage interface. Everyone, even companies, can use it for free. It does not include adware or similar malicious components. Heading back to school or going to college. Toshiba has a nice Satellite notebook (with an intel i7 processor) that packs a punch for work and play. A 4th generation Intel® Core™ i7 processor with Turbo Boost Technology delivers the premium performance your life demands. With 8GB of DDR3-1600 memory, the Satellite® S55-A5257 ensures that your software won’t just run — it’ll sprint. You have to love technology… Seagate has an external hard drive available that is called Wireless Plus. This drive has its own Wi-Fi network built-in, so you can wirelessly stream your media and files to your wi-fi devices such, as your tablet or smartphone. The cool thing about the Wireless Plus drive is that it acts as a router. You do not need to be connected to the internet to access this drive. You need no wires with this drive, at all. It has a built-in rechargeable battery that will give you up to 10 hours life. Imagine jumping in the car, powering the Wireless Plus up to stream movies to the kids’ tablets. I just commented, a few days back; “If you are a regular here, then you know I especially like software made clocks, weather apps and calculators”. Today a gem of an online weather app landed in my lap, called Forecast. Forecast is unique in that it is completely different than any of the other weather services you may have experienced. The weather result at Forecast comes from a grouping of forecast models (see here) that provides accurate global weather results. The best part about all of this is that Forecast is new and will only get better. The best thing I can tell you is visit the site [HERE] and dive right in and I think you will see that this is one of the most elegant weather services out there that will give you what you need, in terms of basic weather information; AND, if you need more, you can click your way into more complex weather information (past, present and future). Let Your PC Know Who’s The Boss! As a home based computer user, have you ever had that rare occasion where you needed to login to your router to make a configuration change? Most people when they install their router, follow the setup instructions to configure the router; and then, set it and forget it. When that rare occasion arises where they need to login to the router again, to make a configuration change, they forget the process on how to do it. Typically, I have seen this scenario occurring when changes are required to the wireless access settings of the router (which most routers are wireless these days). Typically to get to a router’s login screen you are required to enter an IP address in your web browser. For example, in my setup, to get to my router’s login screen I would type in 192.168.0.1 and hit enter to bring up the login screen to my Motorola router. At the login screen I enter my username and password to access the setting on the router. When I initially setup my router, I changed my username and password from the default factory setting, as a measure of additional security. Most people stick with the factory defaults, which are commonly known (and published) on the internet (see example here). Most folks at home, when asked to access there router login screen, are often at a loss on what to do. Often they have misplaced the instructions or are simply not comfortable accessing the settings (and often call a tech for assistance). I know myself, when I need to access my router, I will go blank for a minute or so, before it will hit me on what I need to do. Again, this is due to the fact that accessing our router to make configuration changes is a rare occurrence. To assist the home based computer user with getting to their router’s login screen or to assist a tech to quickly get to a router login screen, I came across a small utility called rCon (router configuration). I actually have a shortcut set up on my PC that allows me to quickly get to my router’s login screen, using this utility. What I need to point out here is that this utility (rCon) was made primarily for the basic home network setup and not for those unusual network situations where there are more than one network gateway. All I can tell you, is give rCon a try. If it works, then great; if not, at least my article may remind you to keep your router setup instructions in a safe place and to remind you to keep your router’s login credentials (username and password). Note: If your security software picks this utility up as being something suspicious, it is a false positive (mean – nothing to worry about). Access SkyDrive From Any Android Smartphone And Tablet Running Android 2.3+ Or Later. Folks, if you are looking for a nice, dependable and easy to use online file storing (and sharing) service, I am highly recommending Microsoft’s SkyDrive. With SkyDrive you will get 7 GBs of space for FREE and can opt in to purchasing additional space if need be. This service continues to get better and better all the time and has become my main online file storage service. I encourage you to visit the link above to learn more about SkyDrive. As this service continues to evolve, Microsoft recently made announcement that a SkyDrive app has been developed exclusively for Android 2.3 or later. So, if you have an Android based phone or tablet AND you are a SkyDrive user, this app is a must-have app. I have been testing it on my Toshiba Thrive Tablet and it has performed flawlessly. I even have SkyDrive setup to access the files (and drives) on my main PC anywhere I have internet access (see recent article, Access Any File You Need From Your PC From Anywhere With The NEW SkyDrive). This option alone is like having my main PC tethered to my tablet. With SkyDrive for Android, you can now easily access and share files on the go. You can also upload photos or videos from your phone to SkyDrive. • Access all of your SkyDrive content including files shared with you. • View recently used documents. • Choose multiple photos or videos to upload from your phone. • Share your files and photos – send a link in email or in another app. • Open your SkyDrive files in other Android apps. • Manage your files – delete, or create new folders. WinPatrol continues to be the most powerful system monitor for its small memory footprint. When you purchase a router it is best security practices to change the administrator password to the router. The administrator password is the password that allows you to open the web-based setup, in your web browser (such as Internet Explorer, Firefox, and Chrome), so that you can make configuration changes (such as setting up and securing a wireless network). If you do make the password change, make sure you record and store that password in a safe place. Typically, and in almost every instance I have experienced, most people never change the administrator password to the router and let it remain as the same password, as set by the factory. You may think this is enough to prevent unauthorized access; however, the factory set (default) password for nearly every type and model of router out there can be easily acquired on the internet. Secondly to give you a quick access method to acquire a router’s password in the event you forgot what the default password was or you are a tech and need the password to troubleshoot a system. RouterPasswords.com provides quick access for technicians to default passwords used on routers, default web logins, CCTV systems and other electronic devices. RouterPasswords.com is the largest free online database of default router passwords. The database is maintained by the online community and constantly updated by visitors like yourself submitting new passwords. Where’s James Bond When We Need Him? Recently I moved from one residence to another and was required to drop my DSL internet provider for a Cable internet provider. As a result I was on the hunt for a cable modem and wireless router. Immediately, what I had in mind, was an all-in-one unit with both capabilities; however, not really being too up on what was out there I was not even sure such a beast existed. I did know, from my past experience, and you have heard me say it before, “if you can think of it, someone has done it”. What I found and settled for was the Motorola SBG901 All-In-One integrated SURFboard Gateway with built in advanced wireless networking and security capabilities. Motorola’s SBG901 SURFboard Wireless Cable Modem Gateway is the perfect networking solution for the home, home office, or small business. 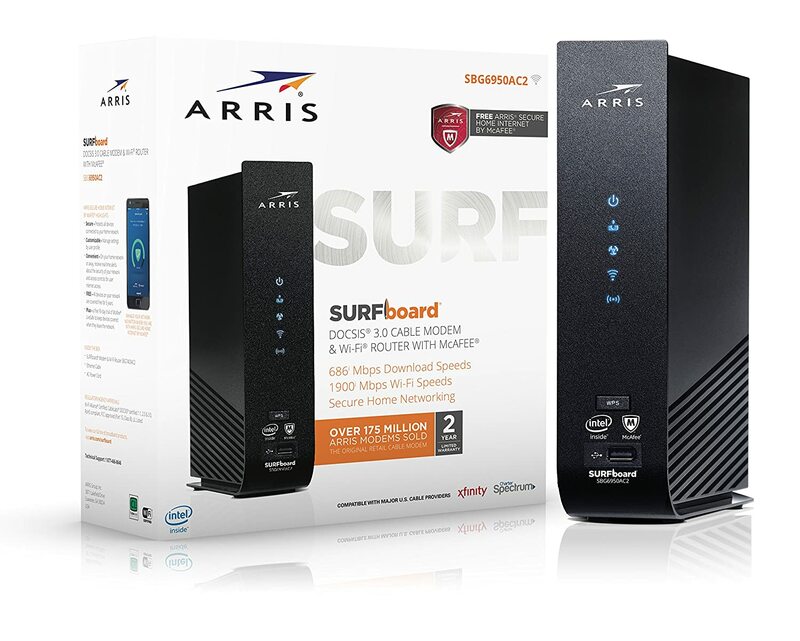 It combines an industry-leading DOCSIS® 2.0 cable modem, an advanced firewall, and an 802.11b/g wireless access point – all in a stylish enclosure for the sophisticated consumer. The SBG901 allows users to create a custom LAN to share a single broadband connection, files, printers, and peripherals without wires. The SBG901, after being recognized by the cable provider network,, worked right out of the box. I was on the internet in no time. Type “admin” in lowercase in the username field. Type “motorola” in lowercase in the password field. Click on the “Security” button at the left side of the Configuration Manager and make the necessary changes. Make sure you keep these changes in a safe place. Overall, I am finding the SBG901 to be a very nice unit that takes up very little space on the desktop. The unit is 5 3/4 “ x 5”. The unit can be either stood up, placed flat or wall mounted. I am also very pleased with the range of the wireless connectivity, which has worked flawlessly within any area of my home. I opted to do a post on the SBG901 in the event someone out there is looking for a combo unit. Cost for SBG901, at the time of my purchase, was $129.99 at Best Buy. ADDENDUM (WHERE TO BUY? ): Due to the popularity of this article, many folks have asked where can they get the Motorola SBG901 All-In-One integrated SURFboard Gateway and the answer is [ HERE ] . NetWorx is another one of those portable apps that should be in everyone’s troubleshooting toolbox. This little gem can help you identify possible sources of network related issues. NetWorx is highly customizable and includes network tools such as ping, trace route and netstat. It can be setup to alert you when your network connections have diminished, or when there is an unusually heavy flow of data that is characteristic of Trojan horses or other malicious activity. It can help you evaluate your bandwidth conditions to ensure you are getting what you are paying for. Audible and visual alerts are available to alert you of abnormal bandwidth conditons. As indicated, Networx is available as a portable app that can be carried with you on your portable media (e.g. flash drive).